On 12/13/2017 at approximately 8:13PM hours, these two individuals paid for goods/gift cards at Publix (251 Miracle Strip Pkwy SE) with fictitious checks. The individuals have since returned, and attempted to pass the same fictitious checks at Publix on 1/15/2018. When the cashier refused to cash the checks, both individuals got into a newer black or dark blue Mazda hatchback. They are using fake Georgia and Alabama ID cards. Anyone with information can contact Emerald Coast Crime Stoppers anonymously at (850) 863-TIPS, at www.emeraldcoastcrimestoppers.com or submit a tip via the P3 Mobile App. A Destin Subway restaurant was robbed Saturday night by an armed woman the victim described as "smelly" and wearing a brown wig. The robber came into the Subway at 1253 Airport Road around 10 p.m. several times and on the third entry, she demanded money and opened her purse and placed it on the counter. The employee could see a large semi-automatic pistol inside the purse that the robber was holding in her right hand. The woman left after getting a small amount of cash. The victim describes the white female armed robber as around 45 years of age, approximately 5’5" tall and 170 pounds, with a thin face and thin lips. She says the woman was "smelly" and was wearing a dark brown jacket, dark pants, a brown wig, and prescription glasses. Anyone with information is asked to call the Okaloosa County Sheriff’s Office at 850-651-7400 or Emerald Coast Crime Stoppers at 850-863-TIPS, emeraldcoastcrimestoppers.com, or by using the P3 Tips Mobile application. The Crestview Police Department is seeking information about an early morning shooting that left one man critically injured. Police responded to the Crape Myrtle Apartmerns at the corner of Lloyd Street South and Martin Luther King Jr. Avenue around 1:20 AM on 10/04/2017 and discovered a 22-year old man with a gunshot wound to the head. Anyone with any information reference this shooting can contact Investigator Temple (Crestview Police Department) at 850-682-2055 or Emerald Coast Crime Stoppers anonymously at (850) 863-TIPS, at www.emeraldcoastcrimestoppers.com or submit a tip via the P3 Mobile app. Three vehicles at two different locations were broken into within the last hour. 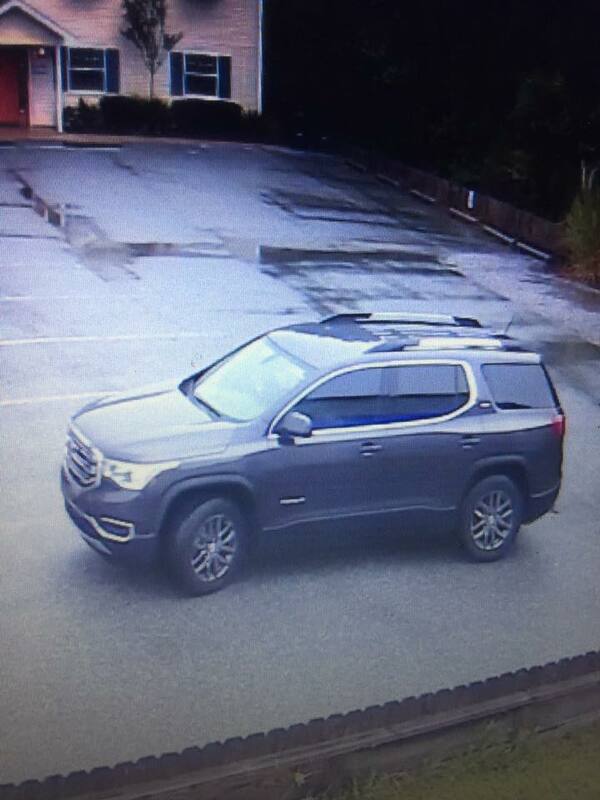 The suspect (pictured looking into windows) and the suspect vehicles are actively being sought by Walton County Sheriff's Office. The burglaries took place at Highway 98 W at Holiday Road at U.S. Gold Gymnastics and South Shore Drive and Highway 98 at Creative Learning Day Care. 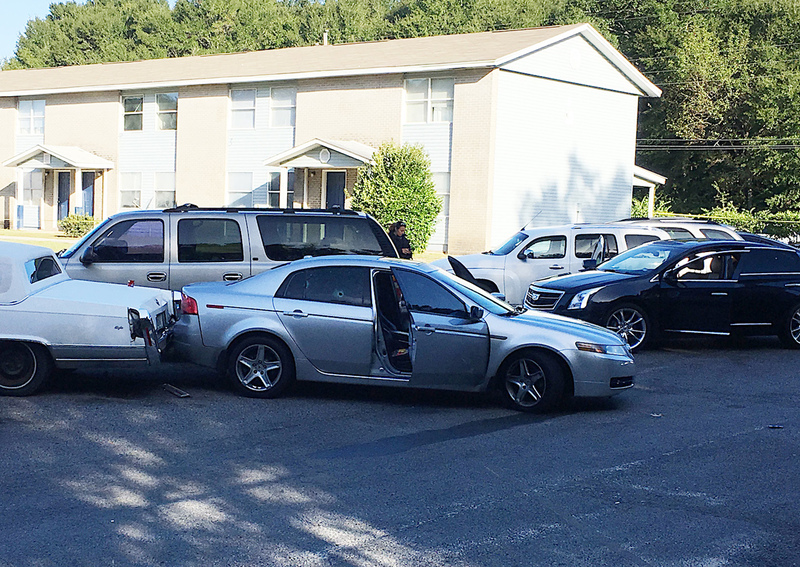 All three vehicles had purses left in plain sight. The suspect smashed the window of the vehicles, took the bags and fled the area. If you have any information please contact the Walton County Sheriff's Office at (850)-892-8111 or contact Emerald Coast Crime Stoppers anonymously at (850) 863-TIPS, at www.emeraldcoastcrimestoppers.com or submit a tip via the P3 Mobile App. The Okaloosa County Sheriff's Office responded to multiple vehicle burglaries in the Regatta Bay neighborhood in Destin on 08/24/2017. Deputies are asking for assistance identifying the four individuals in the clip below who were seen on video in the area around the time of the burglaries. Anyone with information can contact Emerald Coast Crime Stoppers anonymously at (850) 863-TIPS, at www.emeraldcoastcrimestoppers.com or submit a tip via the P3 Mobile App. 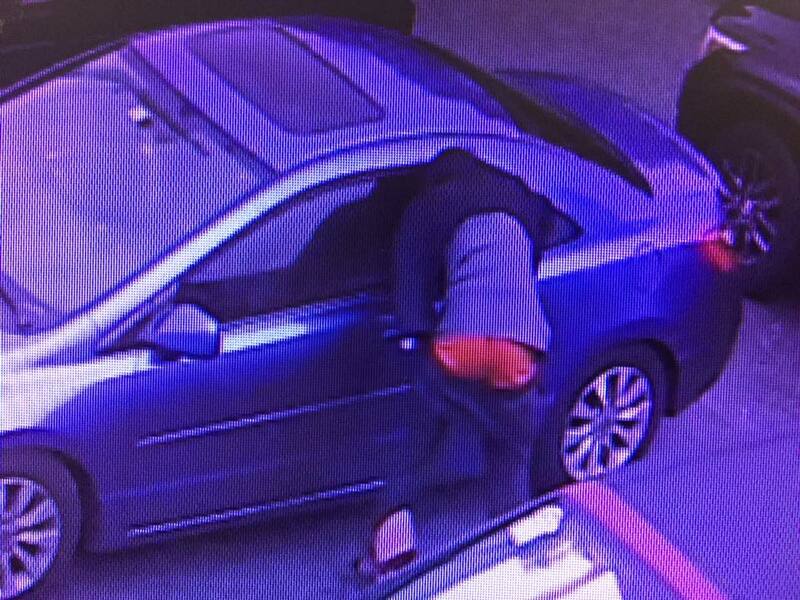 Anybody recognize this pair of vehicle burglars? On 07/18/2017 around 4:00 AM these two were seen on video burglarizing a vehicle on Hagen Court in Niceville. There were also several other vehicle burglaries in the area around the same time. If you have any information you can contact Emerald Coast Crime Stoppers anonymously at (850) 863-TIPS, at www.emeraldcoastcrimestoppers.com or submit a tip via the P3 Mobile App. On July 12, 2017 at 5:30 a.m., Fort Walton Beach Police officers responded to the parking lot of the Tom Thumb at 101 NW Beal Parkway in Fort Walton Beach in reference to a report of an attempted robbery of an individual. The suspect was described as a white male, approximately 5’9’’, stocky build, wearing blue jeans and blue/gray shirt with a dark bandana over his face. The suspected displayed a knife and demanded the victim to “give it to him”, indicating presumably money. There were no injuries reported by the victim nor did the victim give the suspect any money prior to him fleeing the area on foot. If anyone has any information concerning this incident, please call the Fort Walton Beach Police Department at 850-833-9546, or the Emerald Crime Stoppers at (850) 863- TIPS. The Okaloosa County Sheriff's Office is trying to identify two unidentified individuals that stole credit cards, cash and medications from a resident at the Superior Residences located on State Road 20 in Niceville. The credit cards were used to purchase gift cards from the Walmart in Niceville. Subjects were seen getting into a Silver Chevy Impala with tinted windows and a tinted license plate cover and dent on the hood. If you have any information you can contact Emerald Coast Crime Stoppers anonymously at (850) 863-TIPS, at www.emeraldcoastcrimestoppers.com or submit a tip via the P3 Mobile App. 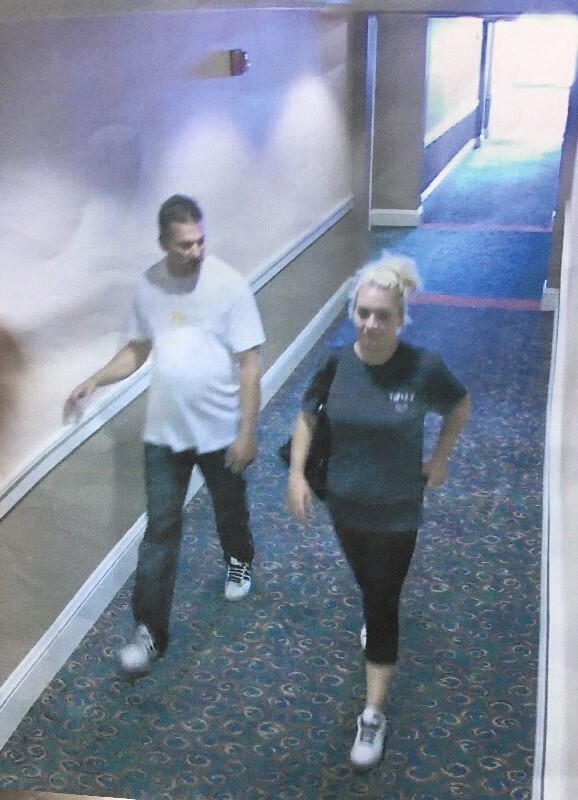 On 06/24/2017 an incident occurred in a unit at the Emerald Grande in Destin in which the individuals pictured below unlawfully entered the victims’ room. The suspects were still in the room when the victims returned and during a scuffle these two pepper sprayed the victims. These same individuals are also suspected of stealing a trailer and Sea-doo from the Emerald Grande parking garage around the same time. The Sea-doo is described as a yellow and white 15’ long 2011, Runabout, topped with a Sea-doo black canvas cover. The trailer was a single axel. They were in the white truck pictured below. Vehicle: White 2-door truck with antenna on front right side and equipped with a large rack over the bed of the truck. There were assorted items in the bed including a large white chest. 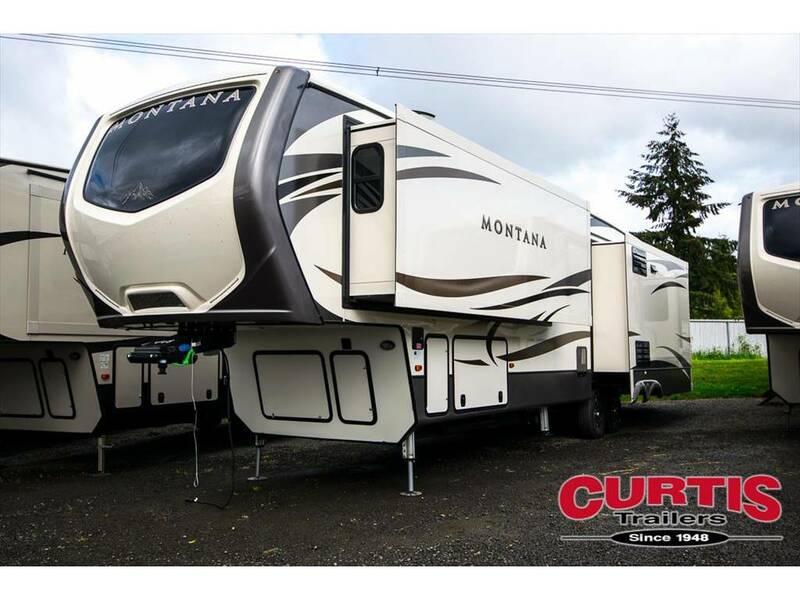 The Niceville Police Department is currently investigating the theft of a Keystone Montana 5th wheel trailer. The trailer was stolen from an address in Niceville between 1400 hours on 6-6-2017 through 1400 hours on 6-23-2017. Anyone with information can contact Emerald Coast Crime Stoppers anonymously at (850) 863-TIPS, at www.emeraldcoastcrimestoppers.com or submit a tip via the P3 Mobile App.